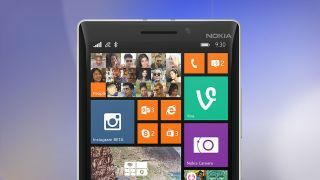 The Nokia Lumia 930 will touch down in the UK on July 17, and you'll be able to pick it up for free on contracts starting at £33 per month. This is one of the most powerful Windows Phones to date sporting a 5-inch full HD display, 2.2GHz quad-core Snapdragon 800 processor, 2GB of RAM, 32GB of internal storage, 20MP rear camera, 1.2MP front camera and a 2420mAh battery. That makes it almost identical to the Lumia 1520, which sports a larger screen and battery, but the kicker for the Lumia 930 is that it arrives running Windows Phone 8.1, Microsoft's latest incarnation of its mobile platform. It also means the Lumia 930 manages to keep pace with the Android crowd, although the Samsung Galaxy S5, HTC One M8, Sony Xperia Z2 and LG G3 all sport the newer, more efficient Snapdragon 801 chip and are slightly cheaper on contract. You'll be able to pick the Lumia 930 up in orange, green, black and white - the latter of which is an exclusive to Phones4U. There's currently no word on PAYG and SIM-only prices, but we'll keep you updated.